Laying the fire brick floor and mocking up the door. 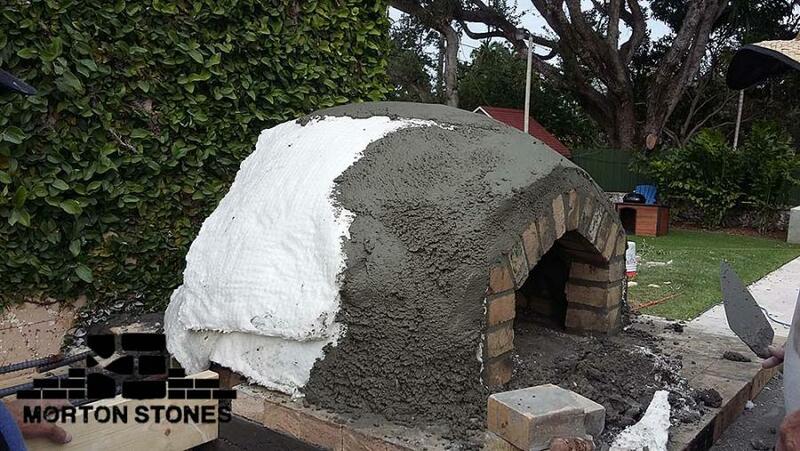 As you may know, we love to hear about technical innovations in the service of producing more and better masonry pizza ovens. 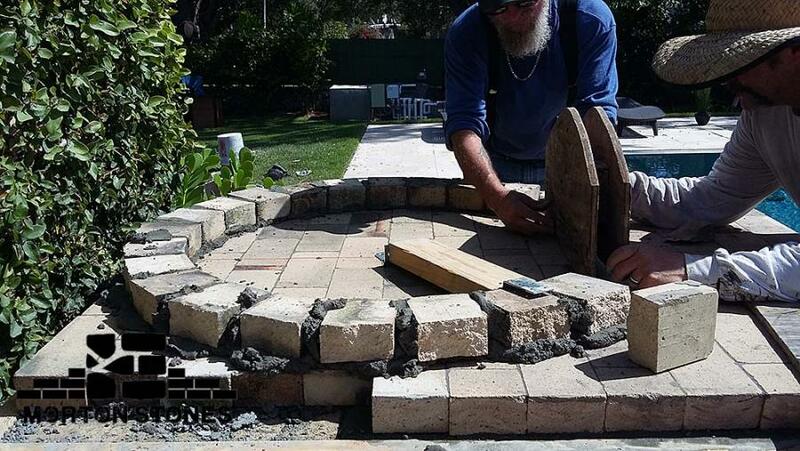 From Florida, we just received a detailed account of the process of building an outdoor beehive shaped masonry pizza oven, using available high tech masonry materials. Mortonstones, LLC of Davie, Florida did the work and offers technical support to the public for these unique designs. They make it look easy, and if you already have the skillset, it probably will be. Stucco final finish going on over masonry “blanket”. Handsome pizza oven complete assembly, including veneered base and work counter. 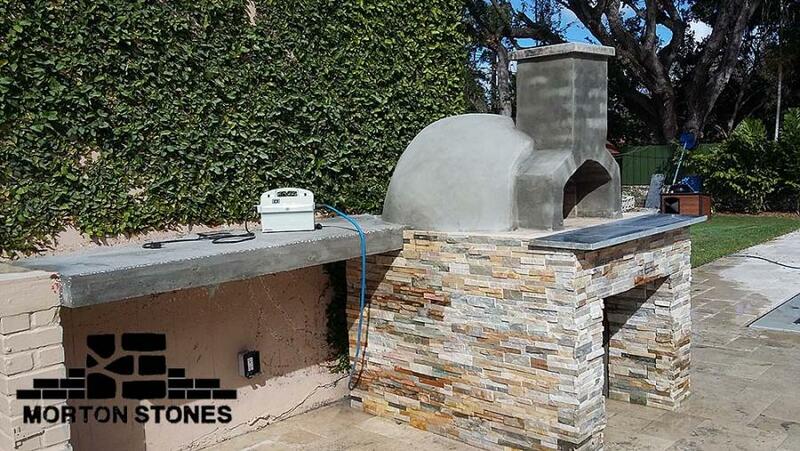 This entry was posted in Masonry Construction, Stonework and tagged Florida, Masonry Pizza Ovens. Bookmark the permalink.